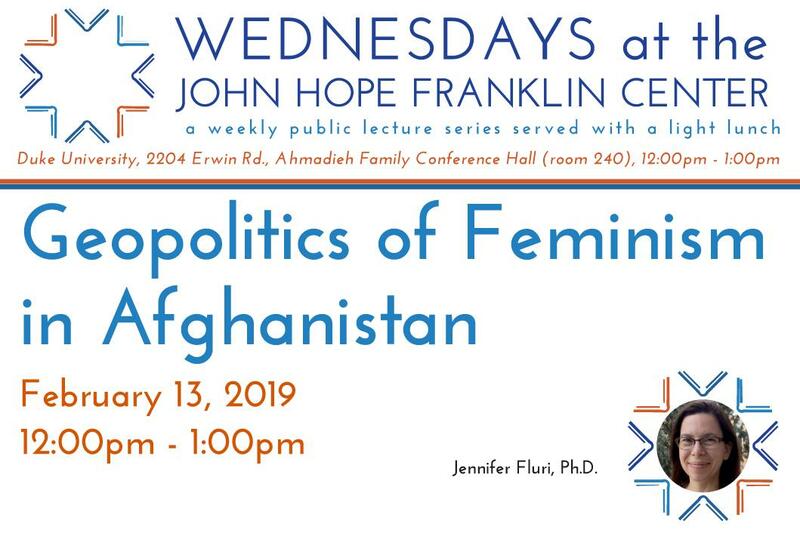 This talk will provide an overview of divergent international geopolitical influences on gender roles and relations in Afghanistan. The talk will begin by reflecting on the development of socialist feminisms in Afghanistan associated with Soviet influence and the rise of communist governance in Afghanistan. This will be examined alongside the opposition to both socialism and Soviet occupation through the US-sponsored mujahideen, in order to exemplify counter-geopolitical uses of gender and feminisms. The legacies of the Soviet Union and socialist feminisms are further explored through the development of socialist-feminist political activism and the corresponding cultivation and expansion of liberal-western feminist ideologies and Islamic feminisms.